Filing for bankruptcy is an option many people take when they need to free themselves from financial hardship and get a fresh start. It is not for everyone but it is more than helpful for those who qualify. When filing for bankruptcy it is important to know how the courts will treat your debts. When it comes down to it, the court will classify your debts into three categories based on the type of claim the creditor has. One type of classification for your debts is called a secured claim. This means the creditor has a lien on a piece of property that you own, whether obtained voluntarily or involuntarily. Common examples of secured claims in bankruptcy are car loans, mortgages and unpaid real property taxes. Now, getting a bankruptcy discharge does not automatically get rid of liens on your property. In fact, your lender can enforce the lien if you default on a second obligation. They can do this by repossessing or foreclosing your property after bankruptcy. You will most likely have to keep making payments to the lender until you pay off the debt if you wish to keep that asset. Another type of classification for your debt is known as an unsecured claim. This is what a creditor will have if they do not have a lien on your property. Filing for bankruptcy will generally eliminate most types of unsecured claims. Common types of unsecured claims are credit card debt, personal loans, and medical bills. It is important to note that student loans are categorized as non-priority unsecured debt when it comes to bankruptcy. 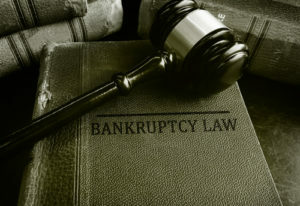 This means you are not able to discharge them in bankruptcy without proving to a court that it would be an undue hardship for you to pay them. The third type of classification for your debt is called a priority claim. These are specific unsecured debts that are not dischargeable in bankruptcy. Priority creditors get paid first, before other creditors in bankruptcy. Their claims also survive your bankruptcy discharge. Common priority claims are things like child support, alimony, personal injury or death debts caused by drunk driving, and certain tax obligations. Again, priority claims cannot be wiped out by a Chapter 7 or 13 bankruptcy discharge. Filing for bankruptcy is an involved process that requires careful planning and evaluation. That is why you should contact an experienced bankruptcy lawyer if you are considering filing. In New Jersey, the person to turn to is Joel R. Spivack, Esq. He will provide honest advice about your bankruptcy options and what will help in your process toward debt relief. For a free, face-to-face initial consultation, contact the firm today at 856-488-1200.